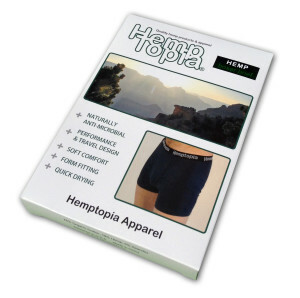 We just got in our new Men’s Hemp Boxer Briefs. These hemp boxer briefs are designed around comfort and functionality. They are made from the latest and best hemp yarn available. They are very soft against the skin. The hemp yarn has been combined with organic cotton to create a fabric that breathes well, airs out overnight, wicks away stinky stagnant moisture from perspiration and is durable for longer then normal wear. So, these hemp boxer briefs look great, supe comfortable and best of all are going to wear better then your other drawers. How did we do it, we researched many different types of run of the mill boxer briefs out there, then we incorporated the best elements from each one we found that we liked and tested for performance. Then we meticulously chose a hemp blended yarn that would wear well, be comfortable on the skin and still have the added benefits of hemp. The result, the best pair of men’s hemp boxer briefs on the market. Uses: You can wear these around the house on a Lazy Sunday afternoon, take a couple pair with you when you travel to reduce more needed pairs due to needing to wash more frequently, wear them backpacking on long adventures, rock climbing or just about anything else you can think of. We enjoy wearing them all the time and mostly when were outside enjoying the great outdoors and all that this planet has to offer from Islands, to deserts, to forests, to waterfalls and beyond. Try a pair on today and see for yourself what a difference a little hemp can make in your life. 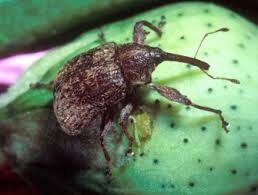 (See third paragraph down under Control) which is commonly found in large cotton fields where the amount of pesticides that are sprayed on the crops is enough to drown an elephant. 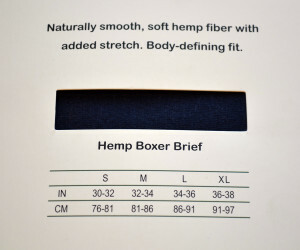 These hemp boxer briefs are made in small batches with careful attention to quality and craftsmanship. At the moment you can’t find these anywhere else but here with us. If you are a wholesaler, distributor or retail store please contact us to discuss wholesale availability. Contact us for any further questions or comments.